Hi! Happy to join in the challenge at CAS(E) this Sketch. I love making clean and simple cards so I hope you like it! 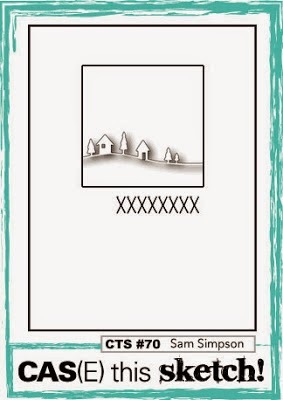 Using the Paper Smooches stamp sets for both images & sentiments. Oh, so sweet! I love the layered houses! Fabulous take on the sketch!